What happens if the nature combined with the latest technology? surely we can see a masterpiece as the result. Here I'm posting a mobile phone concept that designed by Seunghan Song,and its called as "Morning Dew Mobile". It's an art than a usual handset. Lets keep aside specifications and hardware,in this device the key feature is the design.take a look at the picture above ,it reminds us a mp3 player or some other media player with it's round edge shape.the device got a sliding form factor and one circular control area just like the iPod has. 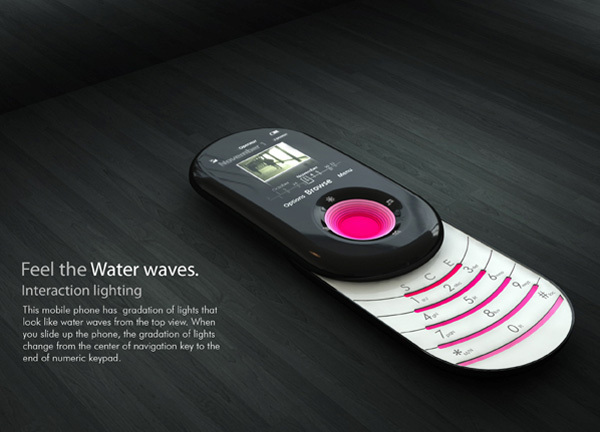 The concept, features a cool lightning effects system.when you put this device down,the circular area animate like waves of water.When you slide up the handset, the light effects starting from the circular controlling/navigating area to the end of the keypad.the info about the light system is printed on the first image above. Here is the other great feature. 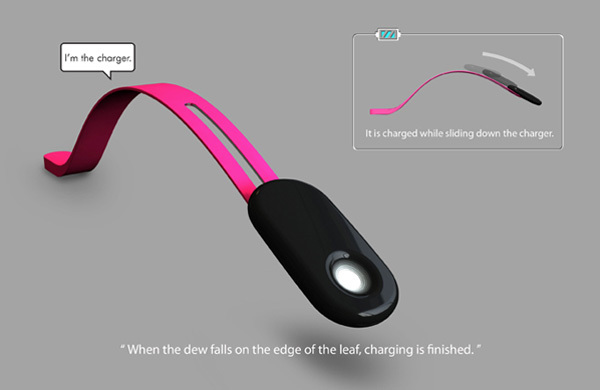 the charging mechanism of the device is new to the mobile technology.as you can see in the above (last) picture, the charger is a arc shape unit. It doesn't have any cable to plug, which is really cool. 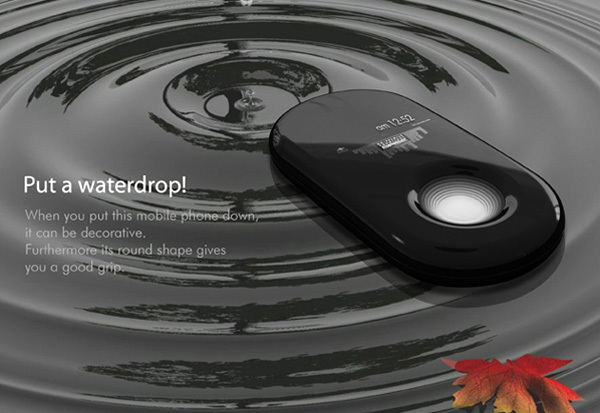 the arc shaped charger help the mobile to slide from top to bottom as a drop of water slides on a leaf or grass.I think that makes the name of the device as Morning Dew Mobile.same thing happen in the morning,dew sliding on petals.when the device reach the edge of the charger, it's fully charged. The device got a bit feminine look,girls would love to hang out with this mobile.thanks Seunghan for the great design. Mobilized Tech © 2012.All Rights Reserved. Picture Window theme. Powered by Blogger.